The Spanish capital of Madrid has enough to keep you occupied for years: a plethora of world-class museums, thousands of restaurants that serve up tasty local grub plus every cuisine you can think of, a handful of historical monuments, a clutch of unique neighborhoods that all have something different to offer, and one of the world’s largest collections of green spaces. 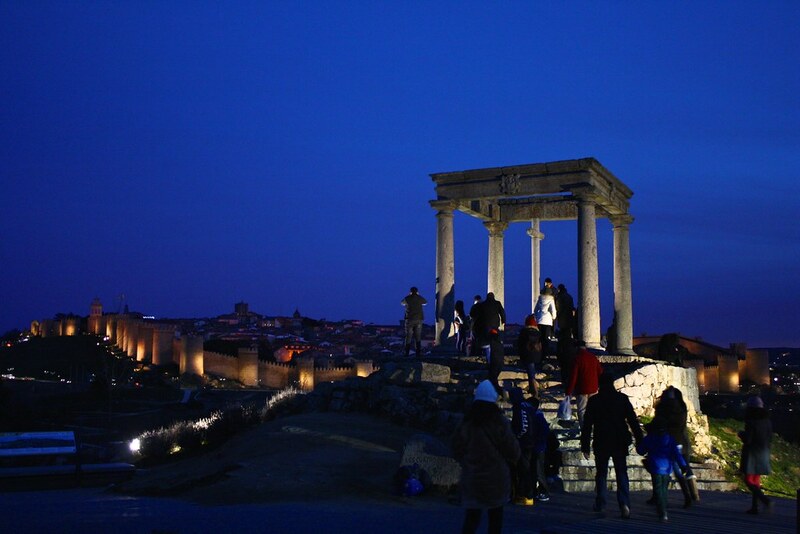 But it’s a rarely-talked-about fact that the city of Madrid has no UNESCO World Heritage Sites to speak of, even as European counterparts like Lisbon, Paris, and Rome all boast of this designation that honors and protects landmarks of cultural or natural significance. What the city center of Madrid lacks in stunning monuments, it makes up for with no fewer than six World Heritage Sites that surround the metropolis on all sides. Each of these cities is no more than an hour away from the capital, which means you could spend a week hopping from one stunning Spanish city to the next yet never check out of your Madrid hotel. That, to me, sounds like a great way to spend some time in the center of Spain! This provincial capital is right on the other side of the Guadarrama mountain range, but it feels a world away from the big city life of Madrid. A Roman aqueduct spans a bustling plaza, still standing without mortar after nearly 2,000 years. The country’s most recently-built Gothic cathedral crowns the city center, not too far from the alcázar or castle that was the inspiration for Walt Disney’s Sleeping Beauty castle. Don’t head back to Madrid without sitting down for a feast of the city’s signature dish: cochinillo asado, or roast suckling pig. How to get there: Ride the 27-minute high-speed train from Madrid’s Chamartín train station. From the Segovia-Guiomar train station, catch bus #11 to the aqueduct. Perched on a dramatic bend of the Tajo River, Toledo will dazzle you with its well-preserved old town (although the steep, hillside streets will wear your legs out). 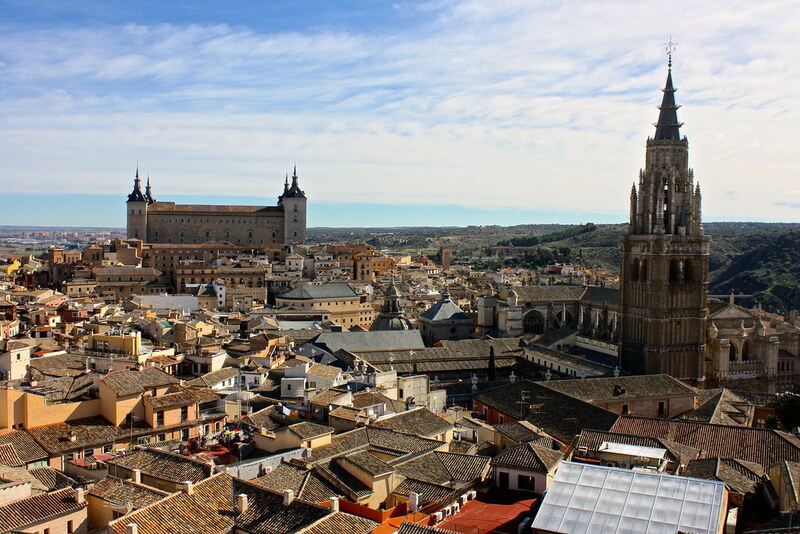 The city’s Gothic cathedral is one of the finest in the country, and Toledo’s also home to two of the three remaining medieval synagogues in Spain (the other is down south in Córdoba). As you explore long-abandoned mosques and an imposing fortress, treat yourself to some marzipan, the famous local almond-based treat. How to get there: Ride the 33-minute high-speed train from Madrid’s Puerta de Atocha train station. From Toledo’s train station, catch bus #5 to the main Zocodover square. You may have already seen Ávila from your airplane window, a striking rectangle in a sea of fields. 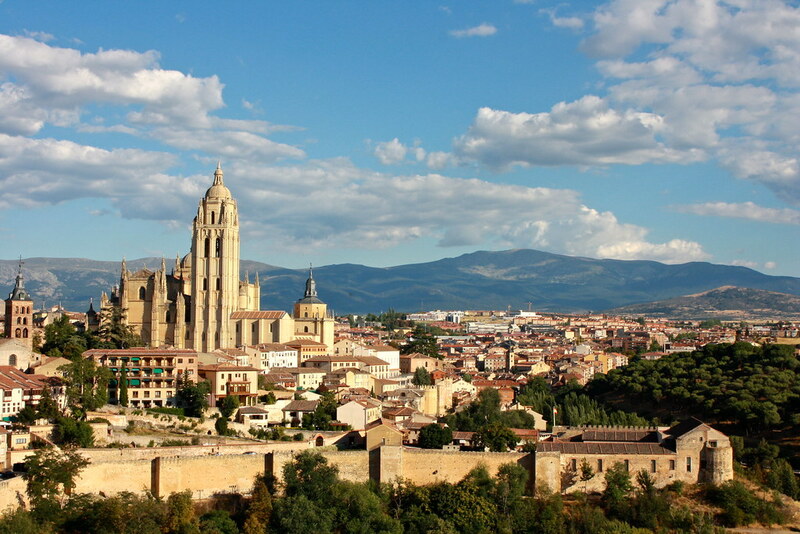 The old town is completely surrounded by a well-preserved set of medieval city walls, of which you can get great photos from the Cuatro Postes lookout point. Within the old town you can find the country’s oldest Gothic cathedral, restaurants that serve chuletón de Ávila (T-bone steak), and museums and churches dedicated to the life of St. Teresa of Ávila, a Catholic mystic and nun. How to get there: Ride the hour-and-a-half train from Madrid’s Chamartín train station. Head due west along the Paseo de la Estación to reach the old town. 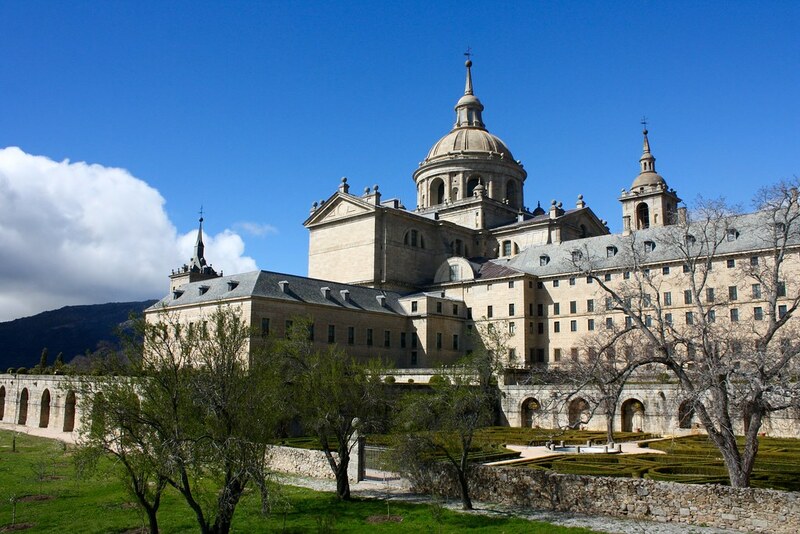 El Escorial offers a pleasant retreat from the hustle and bustle of Madrid, just as it did five centuries ago when King Felipe II decided to move the royal court to the foothills of the Guadarrama mountains. He built one of the world’s largest buildings, which includes the burial place of all Spanish monarchs since the 1500s, a still-active monastery, a soaring basilica, a library of old books, a small art museum, and a royal residence. How to get there: From Madrid’s intermodal Moncloa station (Metro lines 3 & 6), catch the hourlong interurban bus routes #661 or #664 to San Lorenzo de El Escorial’s bus station. The monastery is due south of the bus station. For history buffs, continue on to the Valley of the Fallen from the bus station. 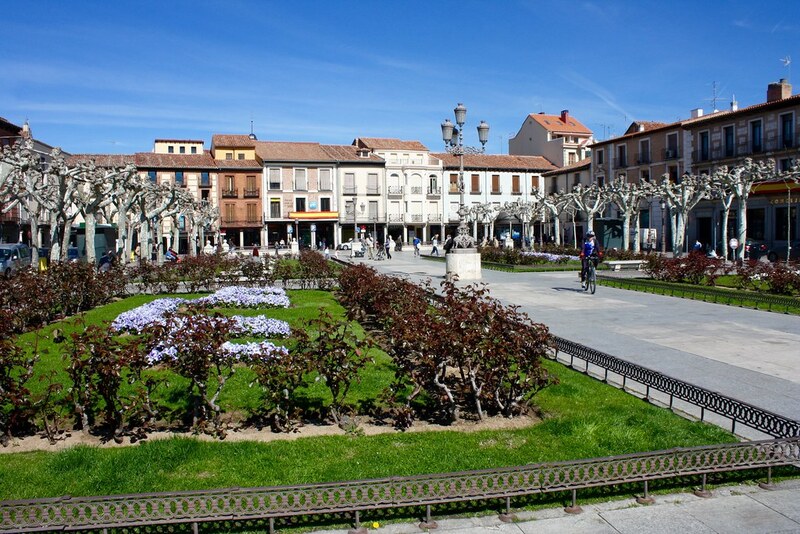 Although the prestigious Complutense University has long since left this suburb for central Madrid, Alcalá de Henares feels like Spain’s answer to Oxford, with monumental architecture from Spain’s Golden Age around every corner and a lively tapas scene to keep you going on those late nights of studying. Alcalá is also the hometown of Miguel de Cervantes, the famous author of Don Quixote; you can even visit the house he was born in, right off the main shopping drag. How to get there: Ride the 45-minute C2 or C7 commuter trains from Madrid’s Atocha Cercanías train station. Head due south along Paseo de la Estación to reach the old town. 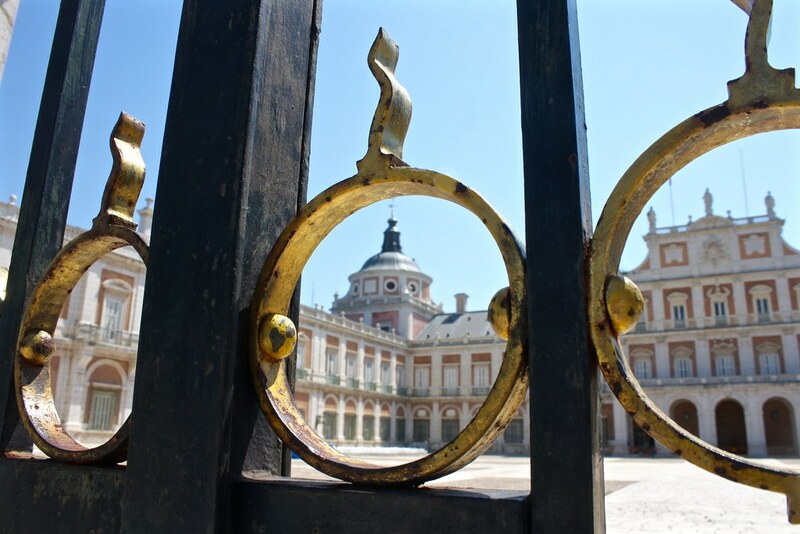 The Spanish royals preferred to escape the intense summer heat of Madrid for Aranjuez, a cool and shaded town along the banks of the Tajo River. They built a mini-Versailles here as their spring and summer residence, which you can stroll through today as well as neighboring parks and gardens. Visit Aranjuez in May and June, when locally-grown strawberries are harvested and served with whipped cream. How to get there: Ride the 50-minute C3 commuter train from Madrid’s Atocha Cercanías train station. Head northeast along the Carretera de Toledo to reach the palace. 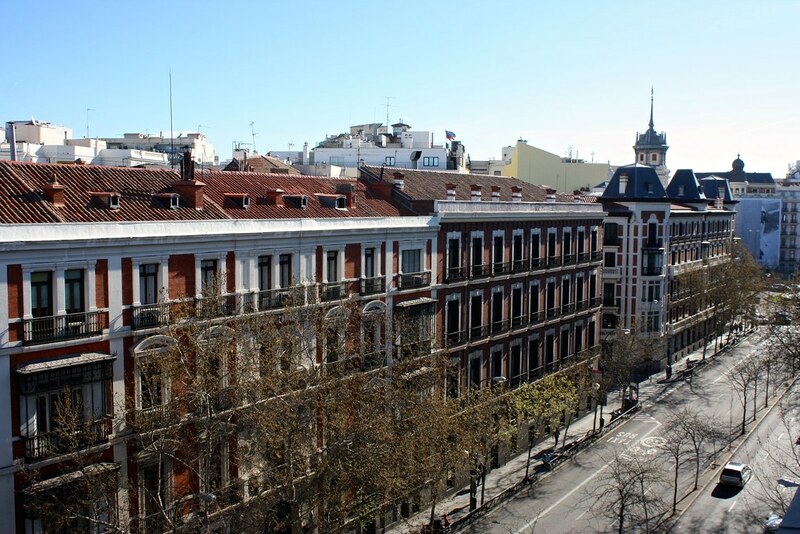 What’s your favorite daytrip from Madrid? Tell me below in the comments thread!